Several officers who have worked for six months to 12 months in one posting, too, have been transferred in view of the ensuing assembly elections. BHOPAL: Days after the Madhya Pradesh government transferred 22 IPS officers, one of them wrote back to the government saying this was his third transfer in six months. Three back-to-back transfers have stressed him out and disturbed his family life, he submitted. Raja Babu Singh, a 1994-batch IPS officer, was transferred on June 30 from the post of IG (Security and Coordination) at MP Bhawan, New Delhi to IG (Special Armed Force) in Jabalpur. 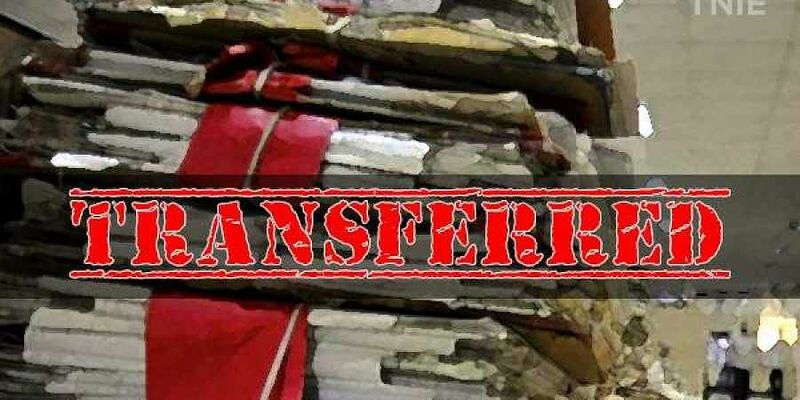 He wrote to chief secretary BP Singh on Wednesday wondering how he could be handed three transfer orders within six months of repatriation from central deputation. "I've two daughters who are pursuing their undergraduate/higher studies in different colleges of Delhi and NCR and yet to take their papers and annual examination. Both are at crucial stage of their careers for which my presence to guide and take care of them is considered unavoidable," he said. The letter also mentions that Singh had undergone coronary angioplasty on March 5, 2016 in New Delhi which revealed multiple problems. Therefore, he needs regular cardio check-ups and medication at the Max Super Specialty Hospital in Delhi. "These are the compelling circumstances, which demand my presence essential in Delhi," he wrote. The MP-cadre IPS officer who was on central deputation with the Indo Tibetan Border Police till September 2017, has demanded that he be allowed to continue in the present posting as IG (Security and Coordination) MP Bhawan, New Delhi and the June 30, 2018 transfer order posting him as IG (Special Armed Force-SAF) at Jabalpur be cancelled. After joining his parent MP cadre from central deputation, Singh was first posted as IG of SAF (O/T) at state PHQ on January 10, 2018. He took over the new charge on January 10, 2018. Thereafter, he was transferred to MP Bhawan in New Delhi on January 12, 2018. But on June 30, he was again transferred as IG (SAF-Jabalpur). Several officers who have worked for six months to 12 months in one posting, too, have been transferred in view of the ensuing assembly elections. They include superintendents of police (SPs) of many districts.